We live in a cozy, comfortable and well design urban apartment. It has 2.5 bedroom, children room with 3 beds + baby bed, small room with one bed and a master bedroom with its own shower room. The main space of the apartment is the living room, compact kitchen and a dining area looking on our nice garden. 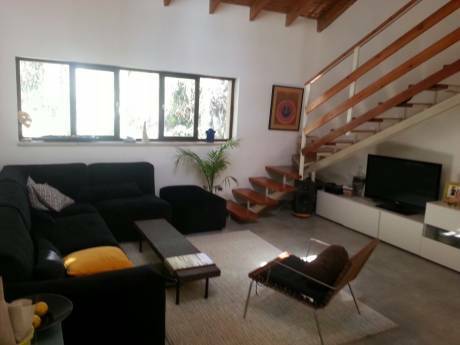 The apartment is in the ground floor of a three level small Jerusalem stone building, and has a private entrée. 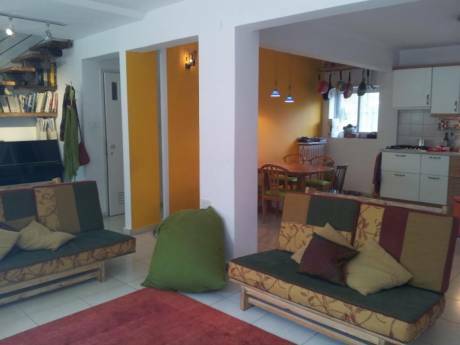 The apartment is fully equipped, air condition, computer and a wireless internet network. (37) is an occupational therapist. We love to travel and see new places and meet new people. Home for exchange is an opportunity for us to meet our desires. 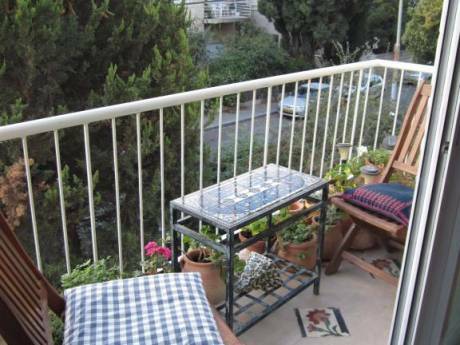 The apartment is located in a walk distance from the city center, museums, parks (gan saker and nayot) and Givat Ram Hebrew University Campus. Harav Hen st. is a small quiet street in-between Haplmach st. and Azza st. witch are central streets with coffee shops, restaurants, bakerys, supermarket and a vievent atmosphere. Jerusalem is 45 minutes from Tell Aviv and from the sea, you can reach in half hour the Yehuda desert and the dead sea. There are many historical and holly sites in Jerusalem and its surrounding. It is half an hour from Bethlehem. Israel has diverse landscape, from the desert in the south and east, to the mountains in the north, Mediterranean see in the west. They are all no more than 3.5 hours from Jerusalem.